Prominent & Leading Manufacturer from Lucknow, we offer health and wellness products. Gingerly is focused on delivering health and wellness products that offer real benefits to consumer. We develop and manufacture only highly quality products in different category. Our Passion is to deliver innovative and economical health solutions to people who need them around the globe. We are working to expand our product line with innovative packaging. Super food- Super foods are natural foods which are packed with health benefits. Compared to their size or calorie content, their nutrition content is very high. A super food rich diet keeps body healthy and balanced. Aromatherapy - is the use of aromatic plant extracts and essential oils for therapeutic and cosmetic purposes. Aromatherapy is based on the principle that natural fragrances, or essential oils, from certain plants, leaves, roots or flowers can heal, stimulate, relax or rejuvenate body and mind. Aroma oils use holistic approach to heal whole body, mind and spirit. Aromatherapy is a viable solution to modern-day needs without any harmful chemical side effects. 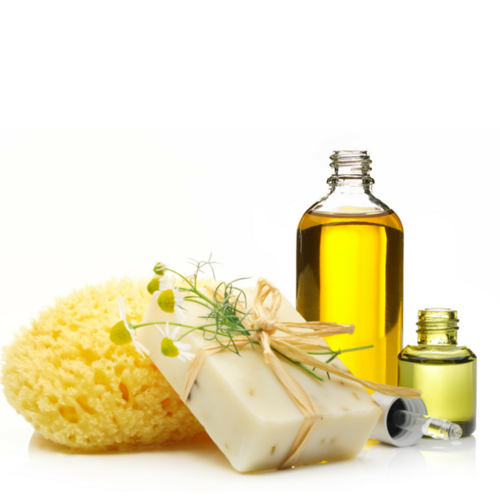 Essential Oils can be used in cosmetic products to boost their effect, diffusers for spreading aroma around and carrier oils for topical applications. Different oils have different effects; some oils can stimulate mind and increase focus and efficiency. Herbal tea - In today’s hectic lifestyle, everyone is either overworked or over stressed. People need something rejuvenating that can help them relax and stimulate their senses. Herbal teas can provide these naturally with no harmful chemicals and artificial flavorings. Herbal teas are perfect for those who want the stimulating benefits without the side effects of caffeine. Wellness product - Do you feel completely sapped out of energy when you come home every day after office? Do your eyes sting and feel itchy after spending hours in front for computer and mobile screen? Do you feel chemicals are slowly coming in way of leading a healthy and natural lifestyle? Keeping these problems of today’s lifestyle in mind, we are providing a unique range of natural products which focus on well being while being completely natural. Products that help you relax, rejuvenate and revitalize your energy reserves without being harmful to your skin and health. Our products do not disturb the ecological balance. We are trying our best to bring nature’s choicest benefits for you in different forms. Our range is not just another in the line of consumer products, they actually help you live a healthy, balanced and energetic lifestyle. Hair care - Hair colour is a major part of beauty industry today. People even change hair colour according to fashion. There are can be different reasons of colouring hair, as some people just want to cover grey hair while some want new look. Hair colour can make a person look better and feel confident about their appearance. Handmade soap - We at Gingerly offer a range of organic, natural and handmade soaps. Our soaps are designed to protect and nourish skin using nature’s choicest skin-loving ingredients with minimal processing. Our soaps are mild on skin and hair and leave no toxins behind. They leave skin clean, soft, supple and healthy with luxurious creamy lather that conditions and moisturizes. Regular use of our soaps helps in maintaining radiant skin. Looking for “Health And Wellness Products”?